Mike McCracken ’79 is an avid supporter of DePauw, volunteering as a member of the Board of Visitors and for his 25th, 30th and, most recently, 40th class reunion committees. Staying connected with classmates since graduation led him to get involved with volunteering and contributing financially to support the university, he said, noting good friends have been important role models. 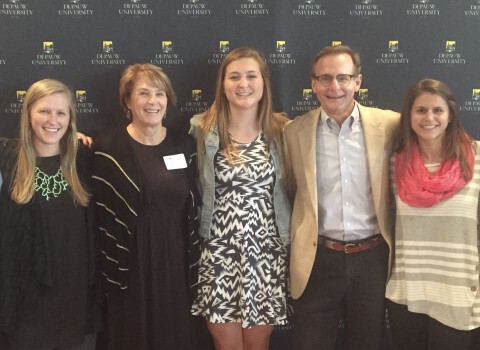 “I have been a regular donor to DePauw’s annual fund, driven by my desire to give back to an institution that did so much for me in the way of learning, leadership development and creating lifelong friends,” he said. 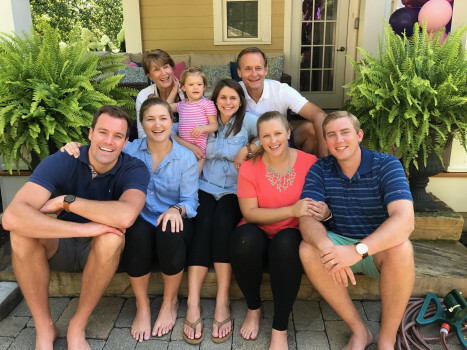 An economics major and member of Beta Theta Pi, Mike met his wife Wendy, a Mount Holyoke and Indiana University law graduate, while the two were on a study abroad program in England. They have been married since 1983 and have three children and three grandchildren. Mike credits that study abroad program along with several other DePauw experiences as influential in his life and career. Economics department professors Pankratz, Warren, Gray and Allen were his trusted advisers and important teachers. Completing two business internships during winter term and traveling as a DePauw admission recruiter helped him develop career skills. He also learned much from the fraternity experience and developed lifelong friendships as a member of Beta Theta Pi. And working on the Alpha Gamma Delta kitchen wait staff allowed him to develop friendships outside his fraternity. 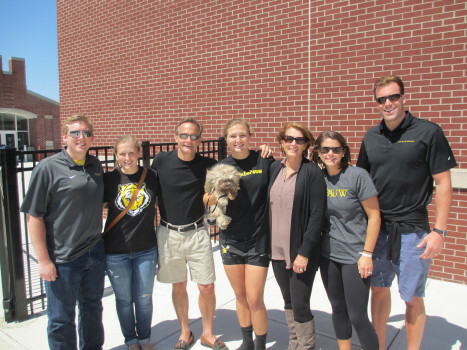 When Mike and Wendy’s youngest daughter, Elizabeth, entered DePauw as a student in 2012, it was a great opportunity for Mike to reengage with the university. “I was happy to donate to the athletic master plan campaign due to Elizabeth’s four-year lacrosse participation,” he said, adding that he has also enjoyed serving on the Board of Visitors since 2016. He is currently serving on the Class of 1979 reunion committee, teaming up with classmates and leading the charge for participation with other Betas. Mike retired in 2015 after 36 years of service with Procter and Gamble. Now he enjoys volunteering as a small business mentor for SCORE Cincinnati, with a food rescue organization and with his community recreation association, in addition to volunteering with DePauw. He plays paddle tennis, golf and bowling and also enjoys traveling frequently and spending time with his grandchildren. All alumni are welcomed and encouraged to attend Alumni Reunion Weekend June 6-9, 2019. Specific class years that will be honored are: 1949, 1954, 1959, 1964, 1969, 1974, 1979, 1984, 1989, 1994, 1999, 2004, 2009, and 2014. You can find more information and register online at www.depauw.edu/alumni/events.